The eruption shot up a cloud of solar material from the sun�s surface. View and download full-sized image. 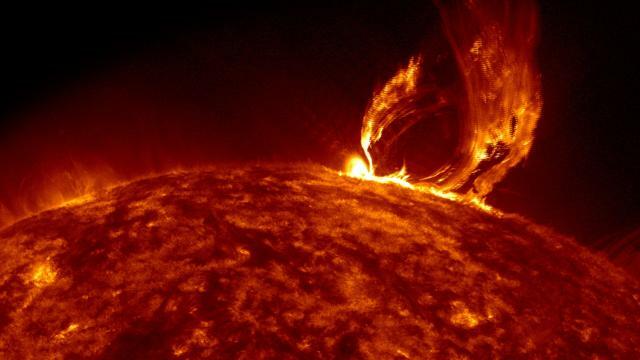 Source: NASA's Goddard Space Flight Center Video and images courtesy of NASA/SDO. License: Public Domain. If you are going to redistribute this image online, a hyperlink to the above source page is mandatory.